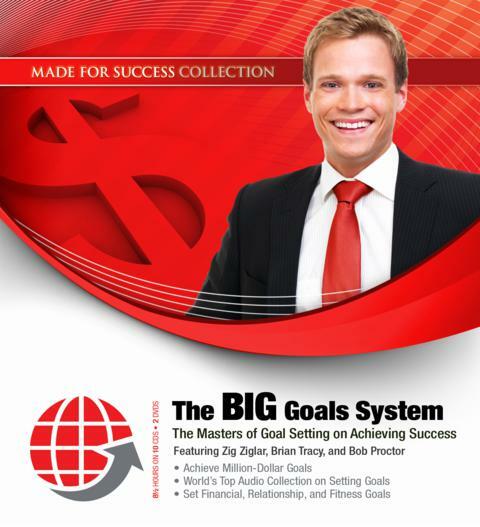 This Goals product is a collection of goal achievement programs from the leading experts on the subject. According to Brian Tracy, the top 2% earners from Harvard Business School are goal setting masters. With Brian Tracy’s proven goal achieving system, you will clearly see how Brian Tracy has achieved multi-million dollar successes in his life. ZIG ZIGLAR, world renowned author and speaker, has an appeal that transcends barriers of age, culture and occupation. Since 1970, he has traveled over five million miles across the world delivering powerful life improvement messages, cultivating the energy of change. He has written twenty-nine celebrated books on personal growth, leadership, sales, faith, family, and success. Ten titles have been on the bestseller lists; his books and tapes have been translated into over thirty-eight languages and dialects. BRIAN TRACY is one of the most respected speakers, teachers and trainers in the world today. He has given more than five thousand seminars and workshops in fifty-five countries on the subjects of sales, wealth creation and goal setting. He is the author of more than four hundred audio/video learning programs and has written fifty-two books that are published in thirty-six languages.